Fiat India struggles to meet its targets. Analysis. 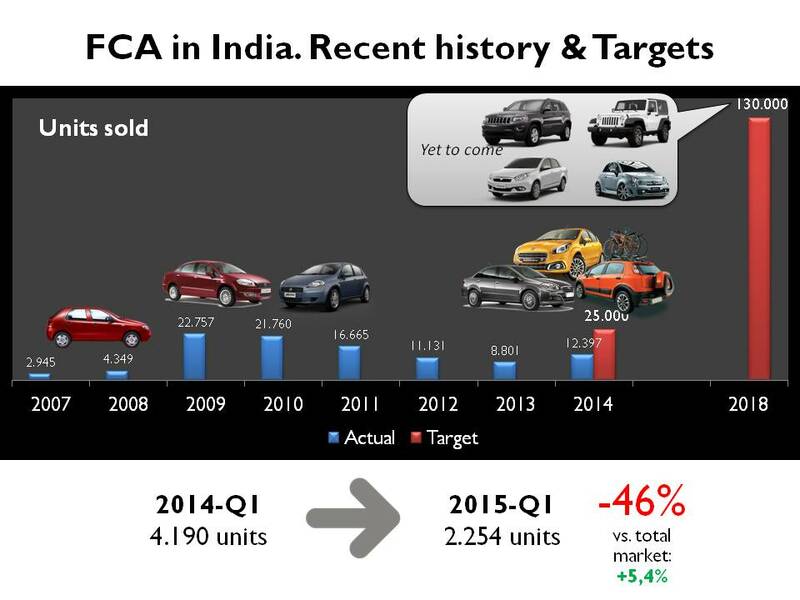 India is a key market for any car maker and FCA has problems there. The group is represented by only one brand, Fiat, and it hasn’t been able to occupy an important position in the 2,6 million units Indian car market. It is a difficult market not from the point of view of the competition (there are few brands to choose) but from the clients and legislation perspective. Sales struggle to grow following macroeconomic problems, tax policies and a massive part of the population still making part of the poverty mass. In this context, Fiat proved it hasn’t been able to meet the existing and difficult demand despite its continuous announcements, range repositioning and ambitious targets. The group has mainly offered 2 products since the last 5 years: the Punto and the Linea. In 2014 its registrations advanced a healthy 41% thanks to the updated products. But it didn’t last for long. During the first quarter of this year, total sales dropped 46% whereas total market was up 5%. Source: carsitaly.net and FCA Investor Day 2014. In 2014 Fiat sold 12.400 units or 41% more than the previous year. The big jump allowed Fiat to be the second fastest growing brand, right after Honda (+67%) and ahead of Nissan and Suzuki-Maruti. Thanks to the updated Linea and Punto, Fiat posted the best volume since 2011, but it was also the result of the company’s decision of selling its products directly and not through Tata’s dealerships. Currently Fiat India offers 131 points of sales and 125 service oulets across the country, which is certainly an important increase when compared to the 100 dealerships it had by the end of 2013. Meanwhile overall market posted a 3% volume increase to 2,5 million units, its second best result in history. There were only 5 car brands to outperform the total market’s growth: Honda, Fiat, Nissan, Suzuki and Hyundai. 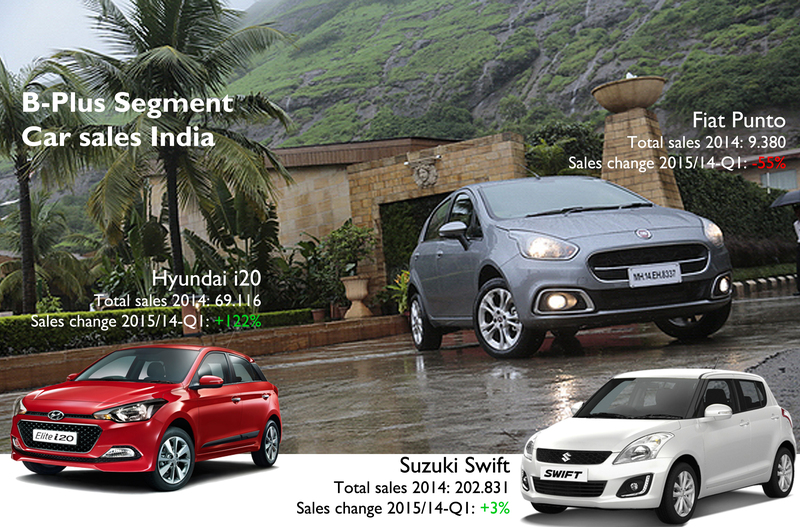 Nissan budget’s Datsun arrived, and Tata, Mahindra, VW, Skoda, Renault and Chevrolet posted double-digit drops. Based on those facts, anyone could conclude that Fiat isn’t really struggling in Indian market. The truth is that the group has two big problems: its lack of fresh products and its short and mid-term targets. 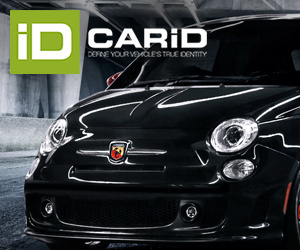 In May 2014 at the Investor Day presentation, the company indicated that it intends to sell 130.000 units by 2018 thanks to Fiat and Jeep brands, which is supposed to be introduced this year. By that year the group aims to produce 6 models, import other 2, and selling all of them in 220 dealers. FCA targets are based on IHS projections for overall market of 5,1 million units in 2018, including LCVs. During that presentation the company also showed its 2014 FY target: 25.000 units. As stated before Fiat total sales were below that objective and the brand could only achieve half of it. 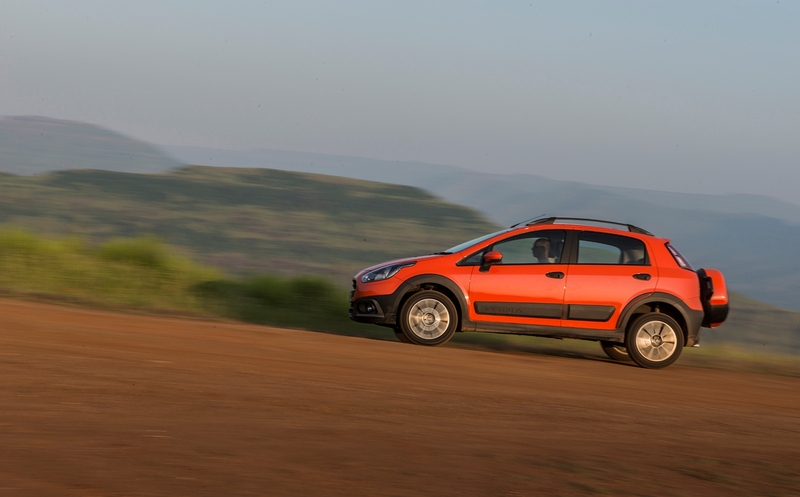 The main problem is the reduced range despite the launch of other versions such as the Avventura (the cross-over look of the Punto), a revamped Punto and the upgraded Linea. At the end all of them are mere updates which feature better trims and in some cases better engines. But the market expects more: more products and all-new cars, and that’s what the competitors are doing. The alliance is a good example of how a good range and continuous launches can have a positive effect on sales. Despite last year’s tiny sales fall (-2%), the group continues to reveal new products and even new brands, like Datsun, launched in early 2014. Following the market’s trend, most of the group sales relies on 2 small SUVs, the Renault Duster and the new Nissan Terrano. Even if it seems that there’s cannibalization between them, these SUVs counted for 64% of the group’s sales and were among the top-15 best-selling SUVs in the country. Besides Renault-Nissan keeps working on new launches. Some weeks ago it presented the Renault Lodgy for the important MPV segment and it announced it is ready to launch a new city-car to compete with the popular Maruti Alto (India’s best-selling car) and Hyundai Eon. The car is expected to use both design languages, the Renault’s and Datsun’s. The alliance offers a big range of products, starting with the budget Datsuns (Go and Go+), the subcompacts, minivans and SUVs. 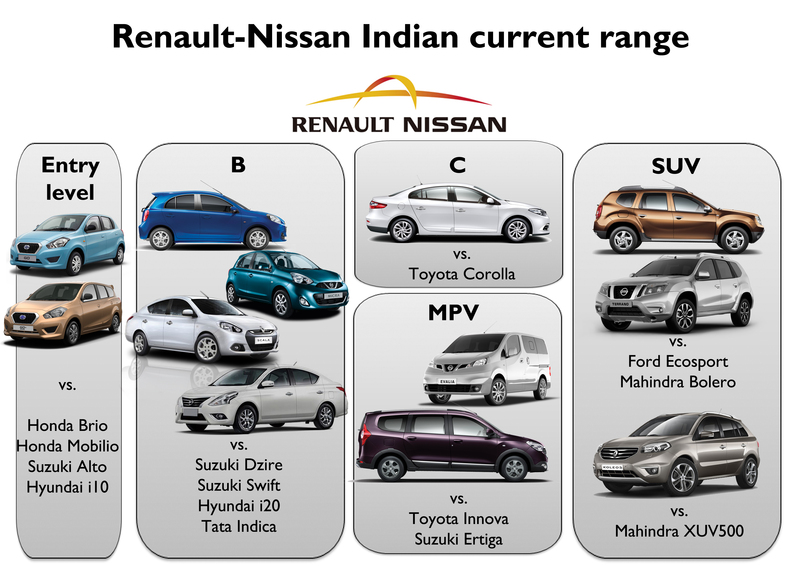 The entry-level and B-segment products are direct competitors of other popular cars in India. The latest launch was the Renault Lodgy to compete in the popular small/mid-size minivan segment. In the SUV segment, the group relies on the popular Duster and it enlarged its success by introducing a more refined version using Nissan’s logo: the Terrano. A city-car will join them shortly. The Japanese car maker delivered 180.000 units in 2014, up a massive 67%. In 2011 they sold 48.000 cars. The product strategy is based on developing a family of cars specially designed to meet Indian taste and needs, and becoming a referent in the C-segment with the modern Honda City sedan. 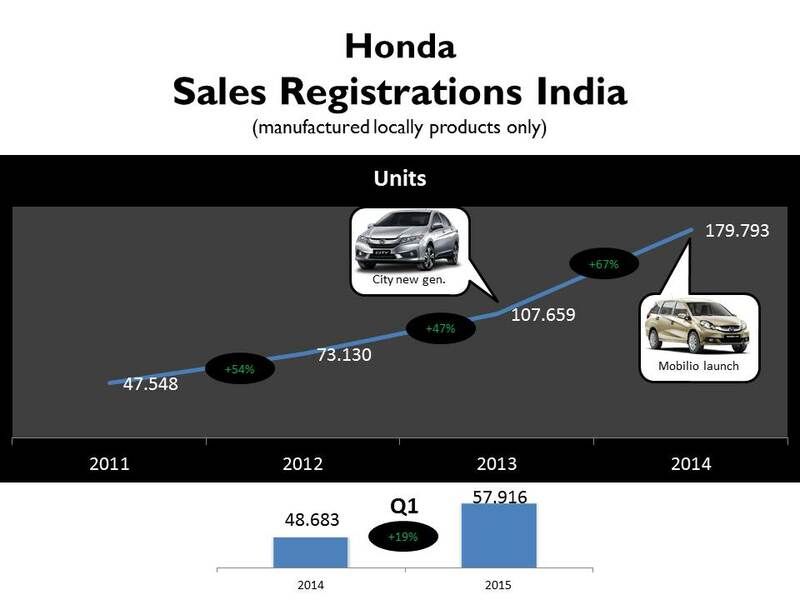 Contrary to Renault and Nissan, Honda’s growth isn’t based on a particular SUV (the HR-V is expected to hit Indian dealers shortly). They just focus on giving Indian consumer what he’s looking for: modern cars that meet local tastes. ← A refreshed Panda and 500L. What Fiat should do next. FCA actually made notable profits from India in the last financial year, unlike Toyota, Honda and Ford, chevrolet or Tata despite far lower sales than them all! That of course is because Fiat mjd engines are used in so many tata and esp maruti suzuki cars, also transmissions (tata), amt-gearboxes (tata and Maruti), and FCA’s exports out of India (few cars, more engines and other components). The same appears true too of FCA India where the re-freshed Linea and Punto Evo+Avventura are struggling to support the 120 odd dealerships, and where no new Fiat all-new car (essential in this very neo-philic, shallow yet hyper-aspirational market) appears plausible for launch and even less for sales success at least till the end of 2016 if not 2017. Sadly, that may be wise: FCA using Jeep as a clean-sheet brand with none of the encumbrances of the ‘Fiat’ one in India, and using India more as an export-base for say the new Fiat and/or Jeep b-suv (below renegade and 500x) and/or the renegade and/or the jeep c-suv than as retail market for Fiat-branded cars. This market has become extremely concentrated: with 3 firms (Suzuki, Hyundai and Honda) now accounting for 75% + of hatch and mass-market sedan sales, and rising! FCA have to really think hard about whether the Fiat brand here is worth investing in at all, rather than Jeep and exports? ‘Fiat’ in India is down for the count as a brand (it is not the only one in India suffering such a fate), and would seem revivable here ONLY if all-new Fiats can be launched with extreme levels of localization, which would seem viable as risk-taking ONLY if exports are the primary intent. e.g., of the promised Fiat b-suv, rumoured to be twinned to an emerging-markets-only Jeep. PS: another alternative FCA must consider is to give up the mass market altogether, and re-position Fiat as premium-within-mass as they position say Abarth and the 500-line-up of cars in Europe. i.e., ckd assembly with low local content rather than the highly localized and therefore very expensive (given low sales numbers, lousy economies of scale) manufacture. And therefore FCA becomes Jeep-manufacture and export centric + a technology supplier to Tata and Suzuki, while ‘Fiat’ tries a niche, eurochic+sporty low volume pricing and positioning?? 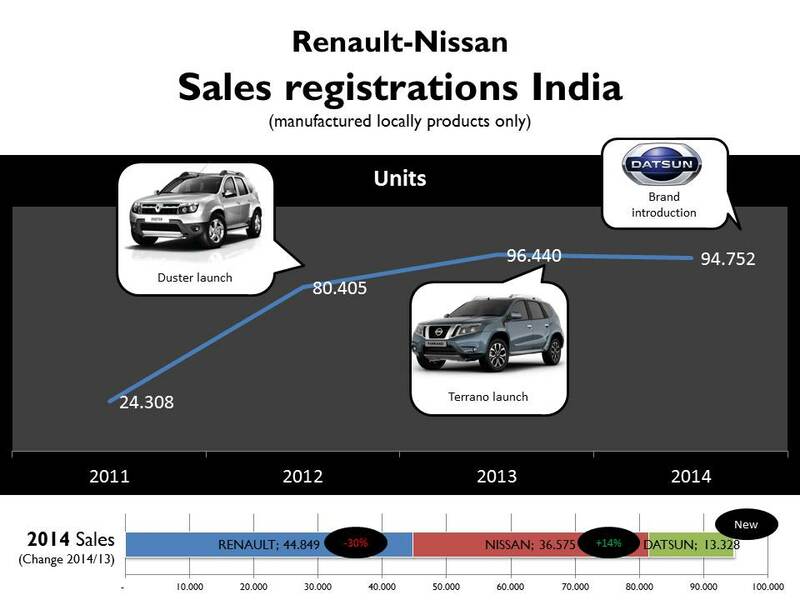 Can you see Manley and Marchionne betting investments on the Fiat brand in India, rather than on Jeep+exports,etc? I doubt it gravely (my family and I own 4 Fiats currently, and have owned several in the past). Ford and Renault-Nissan have pioneered this export-first strategy, FCA can easily follow what with the new small Jeeps. That’s my guess as an observer of FCA India, at least, of what they will indeed do over the next 2 years. Thanks for your deep analysis. Just one question: when you talk about exports, what do you mean? where to export? which markets? Exports of engines and transmissions (and other components?) already happen in large numbers. FCA is apparently gearing up in India to highly-localize and then export, AT LEAST to right-hand drive markets like Australia etc that love ‘Jeep’, the C-Suv (compass replacement). Localize manufacture of the 2 litre diesel mjd, which will also be shared with Tata Motors’ 2 new SUV-s which in turn are based on the Discovery Sport platform. Several recent sourced reports suggest that FCA is planning on making India an export base for a sub-Reneagade/sub-500X B-Suv, either branded Jeep or Fiat but hopefully both, developed in Brazil off a lightened Palio platform, starting in 2017? In which case exports even to European left-hand-drive markets is possible/likely, in good numbers? btw, Indian-made Dusters have been exported by Renault-Nissan in the thousands-per-month to Europe, as have Ford Ecosports. This is a very viable/proven strategy, and FCA’s taking it to the next level with an even higher-quality vehicle being exported: the Jeep C-Suv. Otherwise, sad to say FCA will bleed forever, really, if it tries to revivify the Fiat brand sales in the Indian domestic retail market, which is increasingly capitulating to the dominance of an oligopoly-like East Asian ‘gang of 3/4’ in the mass-markets: Suzuki, Honda, Hyundai and Toyota. The happy thing for FCA is that they earn handsome monies from the mass market, given Maruti Suzuki and Tata’s need for diesel engines, amt gearboxes, etc. The REAL breakthrough, though, will come much easier and sooner if Marchionne and Mr. Suzuki do a ‘big deal’ once the VW arbitration outcome is known! PS: are you tempted into buying the 500X? I would be, very much! 😉 Itcuts me up that FCA will probably not release it here in India, given our gargantuan tariff wall, and given the seeming Jeep-centricity of FCA India going forward. New look and gearbox in Punto is welcome change (I mentioned gearbox issue in one of the earlier post), but with only two models in the lineup, you can’t really expect to increase the sales. SPECIALLY after years of bad reputation in the area of After sale service. FIAT has range of small cars mini SUVs which can be introduced in India i.e. Uno, Panda (but not as high end crossover..),freemont etc., but somehow they are not interested in increasing the lineup. May be because they are getting enough by selling engines only. Since sales are not going up, their target of increasing dealer’s network is also not getting fulfilled.Dealers are closing their shops in favor of other automakers. Yet another reason for poor sales. Fiat budget car like Punto is far better than Maruti , , Hyundai or Toyota since Fiat makes strong and safety vehicles while rest concentrate on making those lighter as if ready to fly just to hype mileage news. The real problem of Fiat is not product lineup but marketing and after sales. Fiat should intensify marketing and ads in local languages and promote in TVads etc. Indian market is sentiment driven and also after sales service has to be improved. The brands which prosper here doesn’t necessarily make great cars but excel in these areas. What a pity…Fiat not able to power its own cars wth its 1.6 mjd!!! Tata JV to blame for it? Some merit in exiting the JV for a long term commitment to the indian market. As of today nothing moves fast at fiat india as they are sitting pretty with huge return on investment; as the investment in india is hardly any, but the mjd engine sales volumes continuing to surge. Fiat India being complacent is hugely understated. Is the Fiat Tipo/Avegeo being introduced in India?If it is, when is the approximate date.I have a Fiat Linea Emotion for the last 6 years and am planning to buy a new sedan shortly.the inputs to my queries will enable me to take a call on whether to wait for the TIPO/AVEGEO or look at the new models on offer from i=other manufacturers.Looking forward to your response. I have no idea whether the Tipo/Egea will be introduced in the Indian market. I believe FCA’s focus now is on Jeep, not Fiat.